When I received a text from my friend informing me she just got some Armani palazzo's in her store, I had a very strong feeling they would be coming home with me. They are 100% silk and they are spectacular. 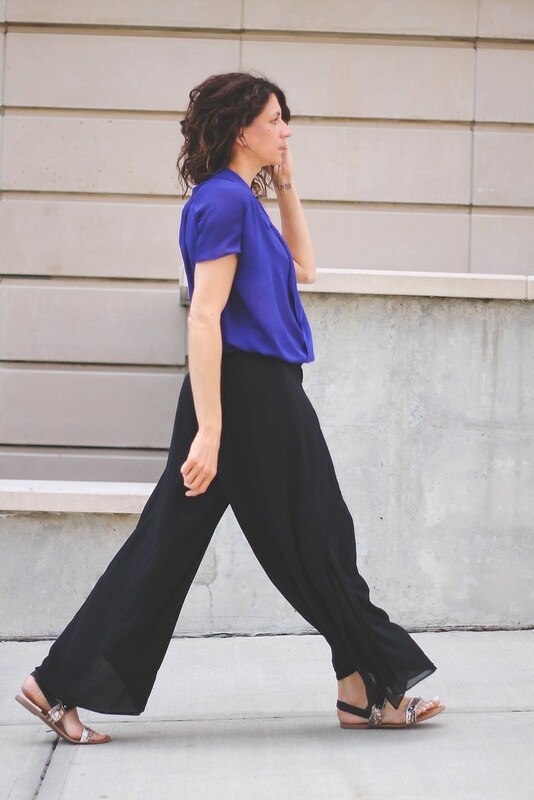 If you have a lightweight silky pant, I highly recommend pairing it with a top of a similar fabric. The combination creates an uber-comfy, easy, carefree vibe. This entry was posted on Thursday, May 8, 2014 and is filed under black,purple. You can follow any responses to this entry through the RSS 2.0. You can leave a response. I love the effortless look of this outfit. So fab girl!